It’s not often I get excited about clothing. But this amazing new cotton shirt can repel liquid/stains, is quick drying, and super comfortable too! 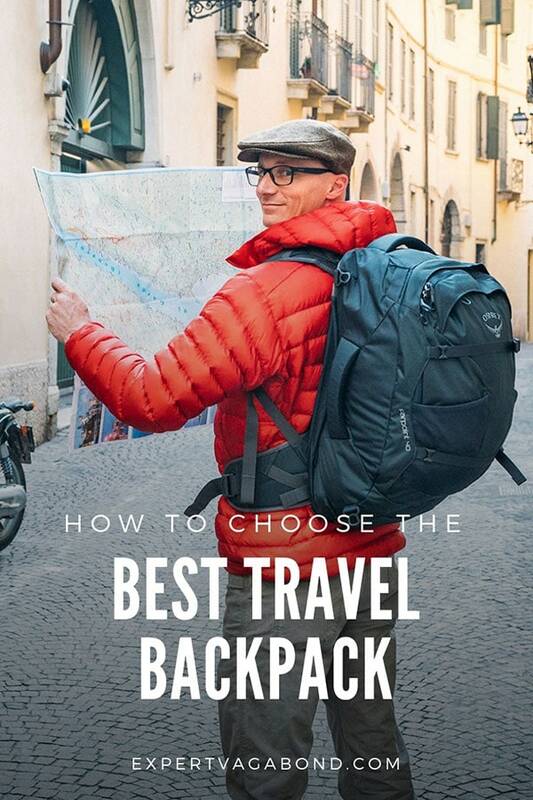 It’s perfect for adventure travel. I have a confession to make. I’m a sweaty guy. When buying new shirts, I have to be aware of what color they are, because certain colors show my sweaty armpit stains more than others. White t-shirts don’t stay white for very long either. Gross I know. But it’s a real problem for many people. The world is full of sweaty people — and we’ve been searching for a solution. From what I’ve experienced over the past week, a company called Ably Apparel has just created that solution. 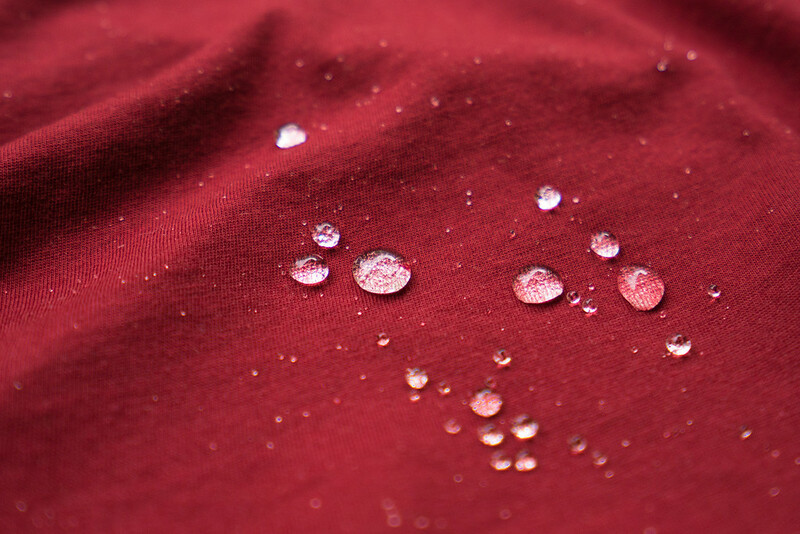 A brand new technology for cotton that’s able to repel liquid (including sweat) while also keeping it breathable, comfortable, and environmentally friendly. Last week I tested their new fabric in Mexico’s high-humidity summer heat, and now I don’t want to wear anything else! We all know there are many benefits to wearing modern synthetic performance fabrics for international travel and outdoor activities. Synthetic blends are somewhat breathable, lightweight, and wick away moisture. They air dry quickly after a wash. The problem is they aren’t as comfortable as cotton. Synthetics also get stinky quickly. Because they’re petroleum based, they aren’t environmentally friendly. Cotton is a plant. It can be grown organically. It’s sustainable, renewable, and biodegradable. What about merino wool? While it’s organic, it’s much more expensive than cotton. Merino is not as comfortable as cotton in warmer weather either. Regular cotton is renewable, comfy, and breathable, but it absorbs sweat & moisture leaving dark wet spots. It doesn’t dry fast, and can leave you feeling cold in cooler weather during active sports like hiking or skiing. Well, at least until Ably Apparel came along with their version. Ably’s unbelievably odor and stain repellent natural shirts look and feel like regular cotton shirts. But that’s where the similarities end. They use a special new technology called Filium™ that makes these incredible shirts stain resistant. Water resistant. Sweat resistant. And quick drying too! I had to experience it for myself to believe it. It feels as if you’re wearing thin, lightweight, and comfortable body armor against the elements. Go ahead. Spill wine all over it. Take it to the gym. Wear it for a few days straight. 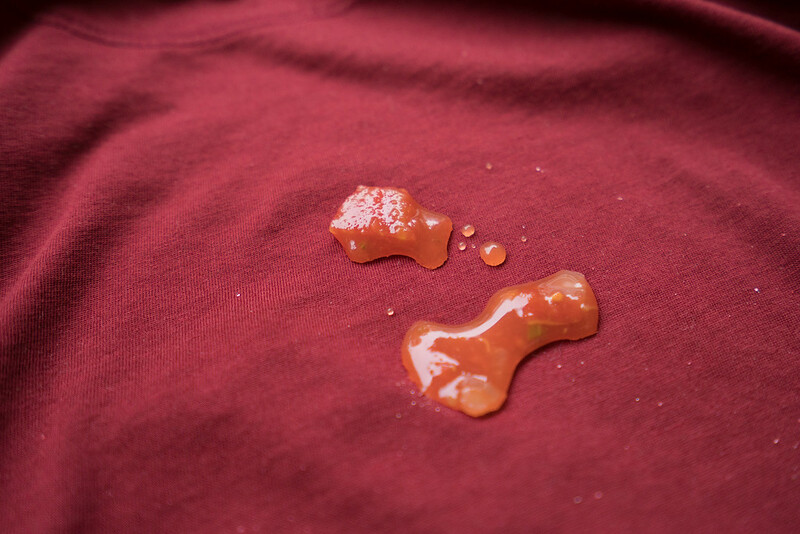 Ably Apparel keeps looking great, smells good, repels stains, sheds liquid, and feels like a regular cotton shirt. I just returned from a four day trip to Isla Holbox, a small tropical island on the tip of Mexico’s Yucatan Peninsula. Temperatures were in the high 80’s with 90% humidity. I wore the Ably shirt for 4 days without washing it. Walking on the beach in the sun, spending hours on a boat searching for whale sharks, and going out to eat in town. While I sweated plenty due to the Mexican heat, there were no embarrassing sweat stains. No smell. I experimented by splashing water, wine, even salsa on the shirt. All three liquids rolled off like it was waterproof. It’s not waterproof though, more like water resistant. If you jump in the ocean, it will get wet. But it air dries 40% faster than a regular cotton shirt. You get the best of both worlds. Comfortable, breathable, odorless, lightweight, fast drying, and stain resistant to boot. Not to mention environmentally friendly. I’ve never seen anything like it before, and can’t wait until they are in full production so I can re-stock my entire travel wardrobe with Ably shirts! Is this shirt incredible or what? Let me know in the comments!